When will be Bruce's Hall of Fame with Alexander Armstrong next episode air date? Is Bruce's Hall of Fame with Alexander Armstrong renewed or cancelled? Where to countdown Bruce's Hall of Fame with Alexander Armstrong air dates? Is Bruce's Hall of Fame with Alexander Armstrong worth watching? 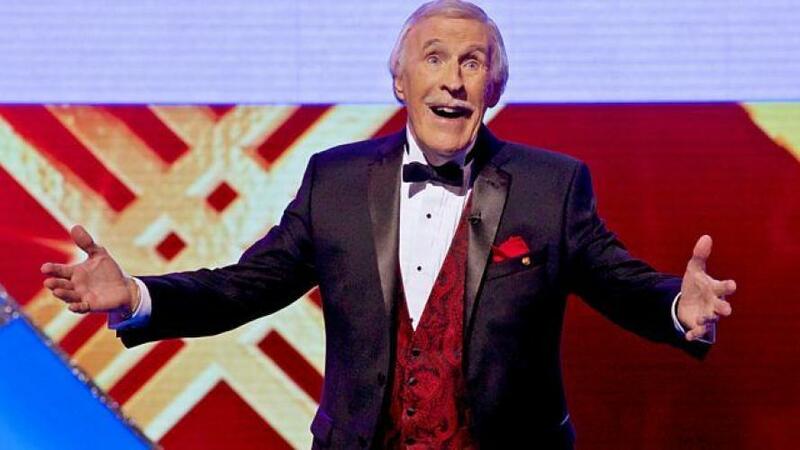 Bruce Forsyth presents the annual star-studded extravaganza in which celebrities celebrate those who have inspired them. With performances from Alfie Boe, Jessie Wallace, Jon Culshaw, Ben Miller, Jason Manford and Jamie Cullum. With Catherine Tate, Beverley Knight, Shona McGarty, Kimberly Wyatt, Adam Garcia, Jamie Raven and Katherine Ryan. Bruce's Hall of Fame with Alexander Armstrong next episode air date provides TVMaze for you. EpisoDate.com is your TV show guide to Countdown Bruce's Hall of Fame with Alexander Armstrong Episode Air Dates and to stay in touch with Bruce's Hall of Fame with Alexander Armstrong next episode Air Date and your others favorite TV Shows. Add the shows you like to a "Watchlist" and let the site take it from there.